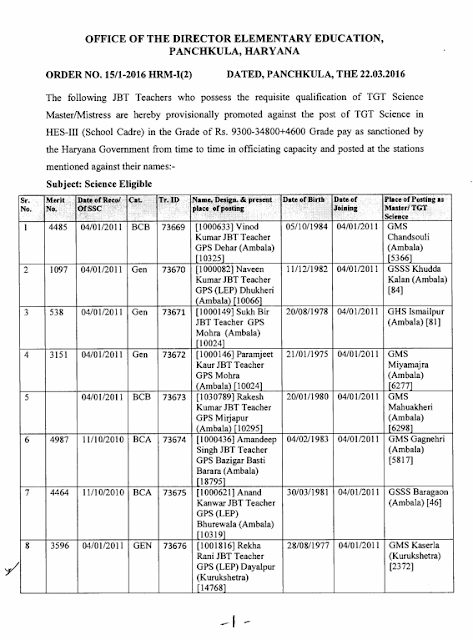 The Directorate Elementary Education,Panchkula has been issued a promotion order on 22.03.2016.According to notification the following JBT Teachers promoted against Science Master HES-III (School Cadre).The grade of these posts will be remain Rs. 9300-34800+4600 Grade pay.This Grade pay implemented with effect from 12.12.2010 as sanctioned by the State Government from time to time.According to promotion letter all these promotions are subject to review/cancellation in case of any discrepancy found at a later stage. 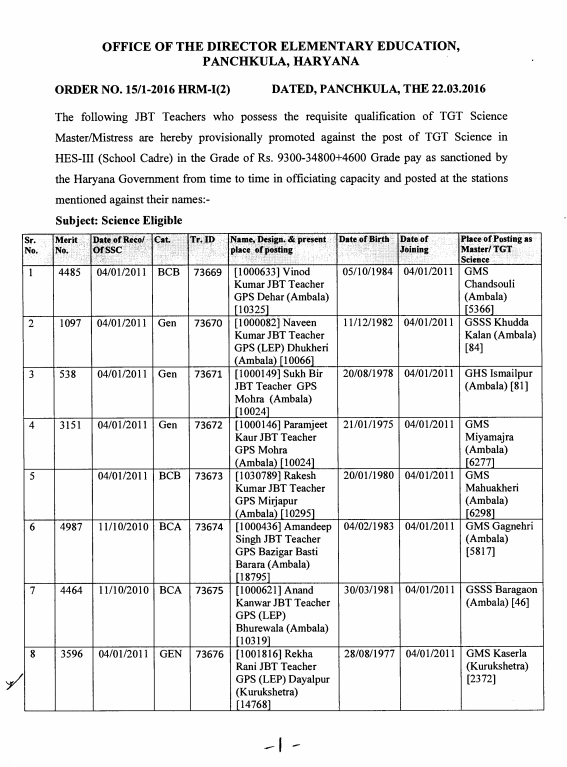 Satish Kumar JBT Teacher GPS Kamalpur Roran (Karnal) posted at GMS Tusang (Karnal). Aarti JBT Teacher GPS Sohana (Karnal) posted at GGMS Sangohi (Karnal).